The most requested treatments in a beauty center or clinic are the ones related to the imperfections caused by cellulite. These treatments are non-invasive and painless and the main purpose is to redefine and firm the body shapes. 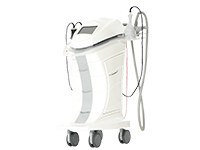 There are numerous professional cellulite machines: machines for liposculpture used in medical clinics and machines for beauty centers among which there are ultrasound devices, acoustic waves machines and anelastic wave machines. Panestetic designs and manufactures intuitive and easy-to-use cellulite machines, very effective: the Panestetic machines since the very first sessions, reduce the hypertrophy of the fat cells. Among the esthetic devices for cellulite, , in recent years it has been developed a new energy called anelastic wave which has significant effects on imperfection caused by cellulite and fat cells, without unwanted background noise (present in the acoustic wave). Its effects are evident even after a few sessions and there is a visible reduction, in centimeters, of waist and thighs. 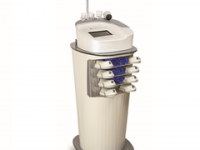 Other highly used professional cellulite machines are the ultrasound devices which emit high frequency waves, which are not perceived by the human hear. A ultrasound esthetic treatment uses a frequency of 3Mhz or 1Mhz. In a medical cavitation treatment, a low frequency is used such as 40Khz. 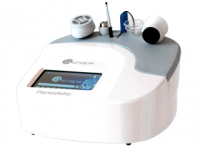 Panestetic is a pioneer in ultrasound esthetic machines for cellulite. The experience gained during the years in Italy and worldwide helped us in developing a new machine at the forefront of innovation that all beauty therapist would like to have in their beauty center or spa in order to provide body treatment: 4shape.